•	Implementation of Marketing Strategy. •	To look after Regional Sales and set up in terms of all aspects like sales revenue, distribution Network and Marketing Team. •	Responsible for Client servicing and retention. •	Spear Head the Marketing Team and increase team efficiency via Training. •	BE/Btech/MBA from a reputed institute with good academics. •	Proven Track record and enterprising outlook. Job Title : Executive Assistant to the MD. Job Location : Malad West, Mumbai. Experience : Minimum of 1 year of working experience as Executive Secretary or Executive Assistant. Assisting the MD to plan his daily activities, meeting schedules. Independently handling correspondence on behalf of the MD when he is away in consultation with him. Maintaining appointment schedule – daily, weekly, monthly and yearly calendar. Maintaining records/files and file management of soft copies including confidential data. Follow-ups with senior management for co-ordinating information required by the MD. Key Skills required: Good Communication and Presentation Skills. Urgent opening for a leading Research and Analytics based in Navi Mumbai and London with fortune 500 Clients is looking for a Manager IT Infrastructure. Call on9987002541 to know more. Planning and implementation of additions, deletions and modifications to the technical infrastructure. 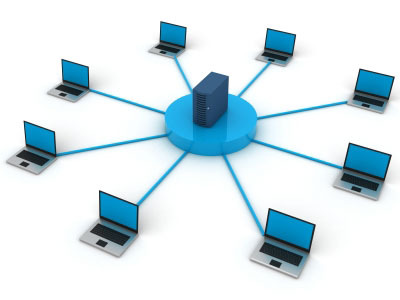 Administration and maintenance of the IT infrastructure. Administration of LAN & WAN. Manages and develops upgrades to telephone system. Oversees troubleshooting, systems backups, archiving, and disaster recovery. Oversees all help desk activities and responds to escalated help desk issues. Interaction with staff to help resolve IT-related issues and provides solutions in a timely manner. Builds and maintains vendor relationships and manages the purchase of hardware, software and telephony products. Manages the purchasing of all software, hardware, telephony and other IT supplies at the regional level. Ensures that company assets are maintained responsibly. Wolf: “You don’t expect me to believe such rubbish, do you? There is no way that a lazy lion with big claws can fix a complicated TV. Inside the lion’s cave. In one corner are half a dozen small and intelligent looking rabbits who are busily doing very complicated work with very detailed instruments. In the other corner lies a huge lion looking very pleased with himself. IF YOU WANT TO KNOW WHY A MANAGER IS FAMOUS; LOOK AT THE WORK OF HIS SUBORDINATES. It’s a fine sunny day in the forest and a rabbit is sitting outside his burrow, tippy-tapping on his typewriter. Along comes a fox, out for a walk. Fox: “That’s ridiculous ! Any fool knows that rabbits don’t eat foxes! They both disappear into the rabbit’s burrow. After few minutes, gnawing on a fox bone, the rabbit returns to his typewriter and resumes typing. Soon a wolf comes along and stops to watch the hardworking rabbit. The rabbit and the wolf go into the burrow and again the rabbit returns by himself, after a few minutes, and goes back to typing. Finally a bear comes along and asks, “What are you doing? As they enter the burrow, the rabbit introduces the bear to the lion. IT DOESN’T MATTER HOW SILLY YOUR THESIS TOPIC IS; WHAT MATTERS IS WHOM YOU HAVE AS A SUPERVISOR.